[PS4] in Uncharted 4, the cinematics might be the same length as the gameplay, but I didn’t mind a single bit. I was constantly immersed, as was anyone who entered the room and ended up watching the story unfold. It's practically a playable movie, and I loved it. There's a understated scene where Nathan & Elena drive from one side of the island to the other, with a mellow score and a setting sun; a calm before the storm that encapsulates what is great about this game. I found out, i don't like pure shooters that much. All points to story telling and graphics. Rest is not that hot. A true hallmark of Naughty Dog's masterful story telling, complete with truly jaw-dropping visuals. Uncharted 4 is a lovely send-off to one of gaming's better recent franchises, and a hard game not to love. 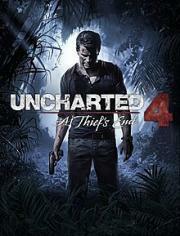 Gameplay wise, Uncharted 4 is the same as the others, except a bit more polished. I can understand the complaints of boredom, the shooting/action gameplay segments are massively scaled back from the previous games. The storytelling is top notch and it just might be the best looking game I've ever seen. I had thought the introduction of a brother that had gone unmentioned for 3 games would be incredibly contrived but they made it work decently. Excellent voice acting, dialogue, and characters as usual.